Looking for a way to connect Rigid Industries lamps to factory fog light wiring without cutting or splicing? Now available is a plug-n-play solution from Starkey. This wiring adapter will convert from a factory H10 bulb connector to the Deutsch 2-pin connector used on Rigid Industries LED Lights as well as other lights utilizing Deutsch connections. 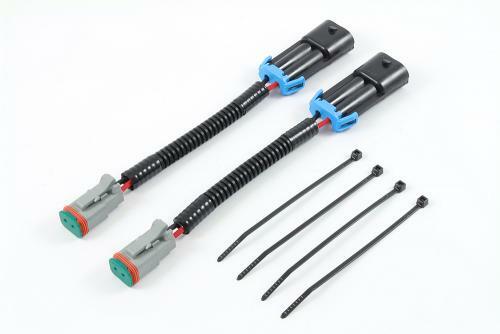 Only OEM quality connectors & wire are used – don’t settle for anything less! 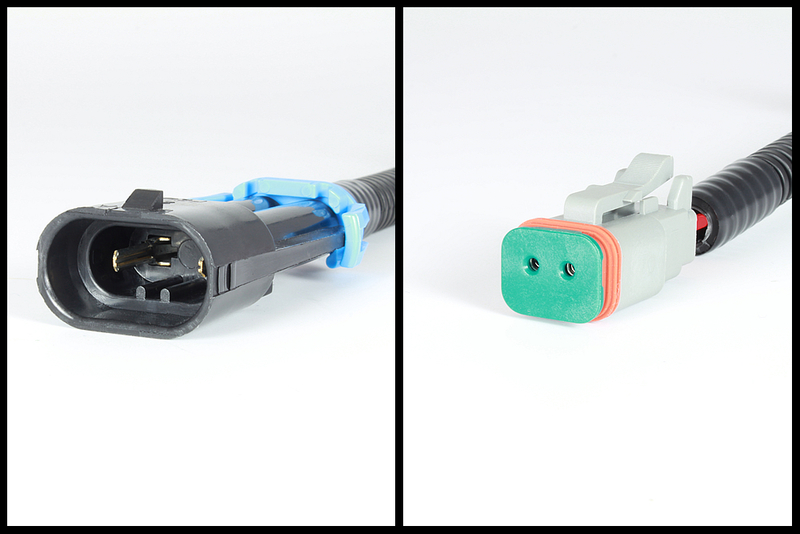 No cutting or splicing required – just plug the new adapters in and you’re done. Converts from H10 bulb connector to Deutsch DT Series 2-pin connector. *Depending on brand of LED cube lights used, the polarity of the wiring adapters may need to be reversed. No special tools are required. Instructions on reversing the polarity of the adapters are included with product. I got these to connect new cube LED off-road lights on my Ford Ranger. They plug right in and now I can use the factory switch. Good quality product and it was easy to change the polarity of the plug using the included directions. Worked great to replace some Ridgid D2 fog lights as a replacement to my factory super duty fog lights. Used these on my 2012 F150 when I replaced my factory fog lamps with Rigid's SAE compliant D Series fog lamps. Saved myself the time and effort of having to splice wires while laying under the front end of the truck. Worked perfect for a quick and easy plug-n-play installation of my Rigid fog lights on my 2012 Tundra. The rigid lights plug into one end and the other plugs directly into the stock Tundra fog light wiring. The advantage is that no cutting/splicing is required and if you ever sell the truck, you can simply reinstall the stock lights in just a few minutes. This was one of the easiest upgrades I have done to a car. The instructions were bullet proof and very easy to follow. I will post pictures and tag this product for all to see and would recommend it and Starkey to every V6 Mustang owner I know.